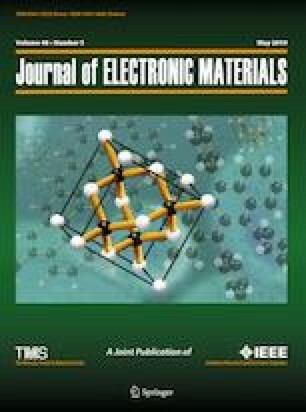 This work evaluates the photodetection characteristics of graphene/p-silicon (Gr/p-Si) heterojunction photodetector having Polymethyl Methacrylate (PMMA) as cladding layer. The graphene film was deposited on copper (Cu) by using the atmospheric pressure chemical vapor deposition method, whereas the PMMA layer was deposited on the Gr/Cu by the spin coating technique. The fabricated heterojunction was characterized by Raman spectroscopy, UV–visible spectroscopy and field emission scanning electron microscopy. The photodetection characteristics of the heterojunction photodetector were assessed through a current–voltage digital source system (Keithley 2400). The results showed that the addition of PMMA/Gr layer to Gr/p-Si enhanced the photodetection performance of the device upon the incident of light emitting diodes with various wavelengths (395 nm, 405 nm, 470 nm, 605 nm, 625 nm, 880 nm and 940 nm). Among all these wavelengths, light emitting diodes with 470 and 395 nm wavelengths were found to display better photodetection performance. For the 470 nm illumination case, the quantum efficiency and responsivity of the fabricated device were increased by ∼ 7 times, the sensitivity was increased by ∼ 12 times whereas the current gain was increased by ∼ 6 times. The enhancement of quantum efficiency and responsivity is attributed to the use of a PMMA/Gr layer that increased the light absorption, reduced the light reflectivity, changed the graphene band structures and decreased the device dark current. For the case of 395 nm illumination at 5 V, the gain was ∼ 9, the responsivity was ∼ 5.052 A/W and the quantum efficiency was ∼ 15.86 W/A while the sensitivity at 4 V was 650%. This work is financially supported by the Grant “Clad (Topological Insulators and Transition Metal Dichalcogenides) Planar Photonic Devices” (203/PFIZIK/6770002), which is under the LRGS Grant “Graphene and Other 2-Dimensional Nanomaterial” (Grant No. : LRGS (2015)/NGOD/UM/KPT) from the Ministry of Higher Education (MOHE) of Malaysia. All support from the Universiti Sains Malaysia and various parties are gratefully acknowledged.